The Studio Art Gallery’s grand opening and evening market and picnic at Imhoff Farm. 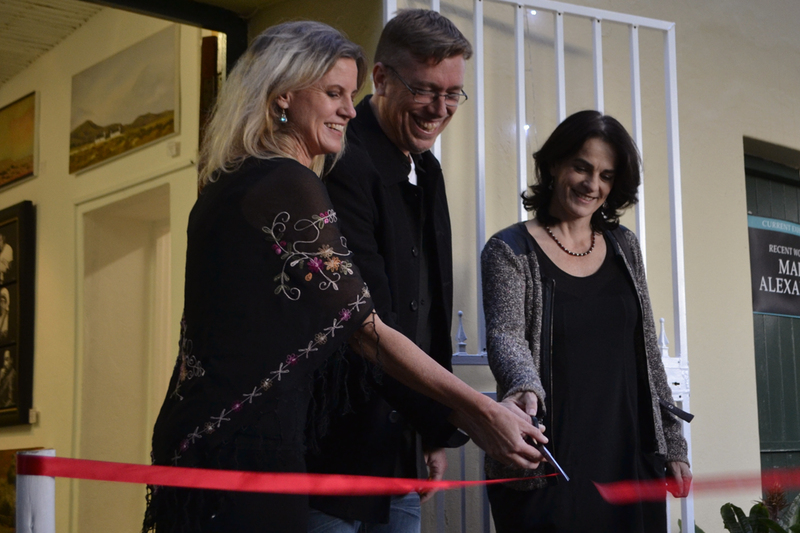 The Studio renamed The Studio Art Gallery, that was first situated in Kalk Bay at the Majestic Village has, after three very successful years, moved to Kommetjie – the new art hub. On Thursday the 31st of March at 6pm, The Studio Art Gallery will be having its grand opening. Please join us as we celebrate the beginning of the next sensational chapter. This opening will coincide with an evening market and picnic at Imhoff Farm. See: http://imhofffarm.co.za/join-us-for-live-music-and-a-gourmet-picnic/ for further details. The speed and complex, no-cost networking capabilities of the web, has fuelled a growing trend of artists who manage and market their own careers. Providing artist with direct access to private, corporate and institutional collectors as wells as the broader ‘cloud’ of individualised awareness of the artist’s work. Surfing this technological wave as business partners, are Cape Town based artists Marc Alexander and Donna Mckellar, who have chosen Imhoff Farm in Kommetjie on the busy Cape Point route to be their new gallery-front. The gallery occupies shop 6 and 7 that used to be the old blacksmith’s workshop built in 1743 and features the original forge, which is still in use, albeit only to warm visitors on rainy days. The gallery is situated on your right as you enter the lawned area or courtyard, just after the Imhoff Plant Nursery. This new space with its half-meter thick walls and quaint surrounds perfectly complements both artists work. Donna’s enigmatic Karoo landscapes juxtaposing Marc’s partially gilded wildlife series is a breath-taking experience not to be missed. At present, the gallery showcases a wide selection of Marc and Donna’s original oil paintings as well as the highest museum quality artist’s prints, but plans to also include other local artists at a later stage. Lindy Alexander, Marc’s kindly wife, who also manages his art career, has been appointed as the gallery’s new director. Besides a friendly welcome, Lindy plans to enthral visitors and patrons with a dynamic exhibition, education and events programme. Whether you are a new enthusiast or serious connoisseur, if you would like to build your corporate or private art collection, then Lindy is the person to talk to. Neighbouring the gallery, one can also find a good mix of photographic art, ceramics, porcelain, glass art, and numerous other artistries. Many of the shops are new, and so contribute to a fresh and vibrant creative atmosphere on the Farm. The Studio Art Gallery is open 7 days a week 9am – 5pm. To visit our website or online shop, please go to www.studioartgallery.co.za or for further information, consultations or private exhibition viewings please email: admin@studioartgallery.co.za. Imhoff Farm has a brief history on their website http://imhofffarm.co.za/home/about/.